The recycled paper beads are made by cutting old magazines, rolling them into an appealing shape, putting glue on the end, and then coating them with varnish to give them a shine and resilience. 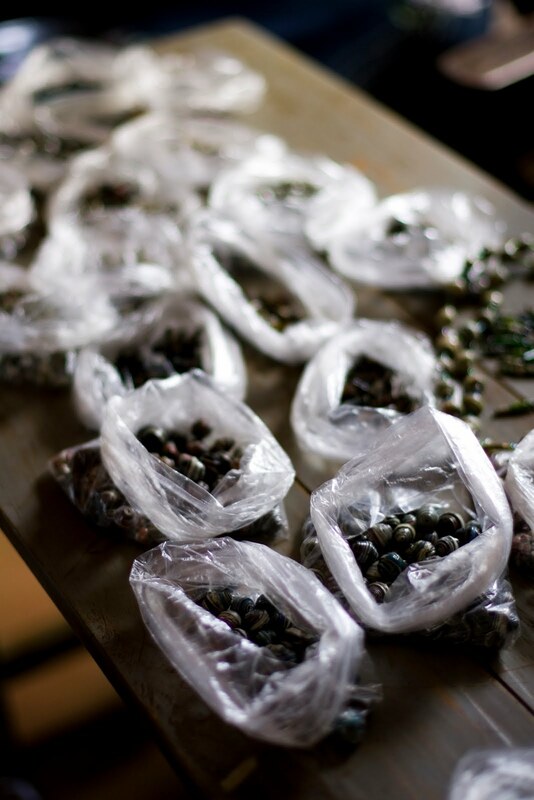 After the varnish dries the beads are sorted by color until they are strung into bracelets or necklaces. They are then tagged with the name of one of the workers so that individuals who buy the product can come to this website and learn more about that person and their story. 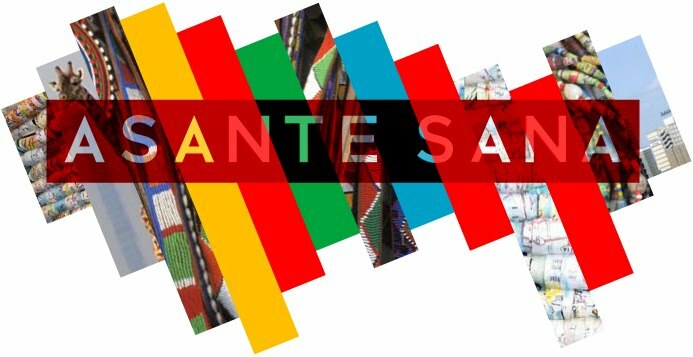 At Asante Sana, we believe this connection between the individual hand making the goods and those buying them helps to facilitate a cycle of empowerment, dignity and generosity for all involved.